He Wood Rocky Mountain Wood is a popular perfume by Dsquared² for men and was released in 2009. The scent is woody-spicy. It was last marketed by Angelini Beauty. What a strangely ambivalent term that is. If you ask 3 different people about their understanding of home, you will with relative certainty get 3 completely different explanations. For some, home is something tangible, a kind of property. Be it the house, the flat, the literal roof over your head, which you have worked hard for. Others associate it with whole places. The village or city where you spent your childhood or most of your life, or sometimes just moved in. Even whole countries or continents are associated with the term, up to the rejection of any borders of the same - the holistic approach, one is only a citizen of the earth and basically at home everywhere. Still others associate it with a more abstract feeling of security, belonging or cohesion. Not seldom one speaks of the so-called being rooted. This great Flanker by Dsquared cannot be described better than by the latter expression for me. The scent reminds me less of the Rocky Mountains, but more of home, of the proverbial roots. Not to my place of residence, but rather to the small, almost 3000 soul place in the eastern Alps, where I spent so many wonderful summers as a child. The place where my father as a little boy walked across green alpine meadows and through the woods. The former residence of my grandparents, where time supposedly stands still and where everything remains as it always has been. Where everyone feels they know each other by name and call each other by the same name. Where the air is still really clean and where one feels like being transported into another world after nightly rain, when opening the window in the morning. Especially when light fog has settled over the meadows and the emerald green forests. Rocky Mountain Wood is like a vacation to said place. A walk through the forest refreshes the mind, you soak up the atmosphere in peace and quiet and the pleasant scent of coniferous wood and spicy moss is in the air. The mood is peaceful, calming. Somewhere in the distance you can hear a small mountain stream splashing, which for centuries or even millennia has made its way through the rock unaltered and steadily. In contrast to its Lalique counterpart, the dsquaredesque thicket is by no means threatening. Fear of getting lost in the dark, of losing one's way or of being killed in a storm by heavy, twisting trees is not necessary here. I know this forest behind the house and on the hill opposite like the back of my hand. The trees and plants that grow here, the birds that live here and chirp cheerfully, but rarely within the forest, but usually only at the birdhouse in front of the kitchen window can be observed closer, the deer and stags whose population grandpa in the warmer season controls and which he has fed in winter. The same goes for the clearing, a little further up the mountain, with its delicate little purple flowers, of which I still don't know their real names. And yet, although you are so familiar to me, although I know you so well, I can discover something new in you every time I go for a walk, and I can take pleasure in you. Grandpa used to process your wood into firewood in the shed behind the house. No matter if logs or splinters, such virtuosos with the axe can hardly be found in this country anymore. Some people don't glide through the butter with a hot knife as smoothly as you glide through the wood with an axe. And anyway, carving is not done with the knife but with the axe. You killed my favorite tree in the garden, too. Once you climb up the Hollerbaum too high as a child where the branches don't carry you anymore and then something like that. Because of a broken branch, you didn't have to avenge me on the whole tree. After all, you were actually a very balanced, peaceful, calm, though deeply emotional and slightly moved person. But well, your children, grandchildren and especially their well-being have always been the most important thing to you, besides the almost exclusively physical, hard work. The fear of heights due to this incident - or better said the fear of breaking through somewhere - has remained with me until today. When I recently unlocked the door to your shed on a relatively warm winter's day after a long time and took a short tour of your workshop, it was magical. This time it wasn't the shavings that brought tears to my eyes, though I could have sworn that the wood dust and its incomparable scent still flew through the air like it always did. The logs are stacked neatly and neatly on the wall, your tools are still correctly in place and the wooden figures hanging on the wall bear witness to your work. Here you were in your element - and it feels like you still are in one way or another. Today your watch, which I hung on the pinboard at work, reminds me of you and all the beautiful experiences you shared. I find it a fitting symbol. On the one hand, that time does not stop before us all and that we should therefore spend it appropriately with those who are most important to us. On the other hand, that there are still these places where time supposedly stands still. One should only take enough time to visit them from time to time. And for those moments when this is actually not possible, there is this wonderful fragrance. Quasi as a small, about 7 to 8 hour excursion for the mental eye to the place where you feel at home. Thank you Grandpa, thank you Dsquared. 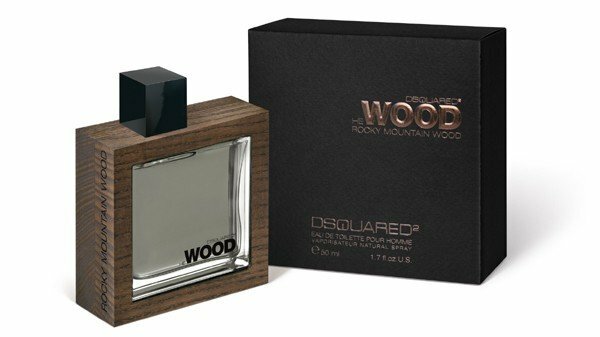 Rocky Mountain Wood is another offshoot of Dsquared's successful He Wood series. I'm not describing the woody, peppery, slightly aquatic scent too much, as it's only hotter than the classic He Wood. The sweet one from He Wood was exchanged with a black pepper and thus made more suitable for summer. All in all not a better one, but rather a somewhat different fragrance from Desquared, which works excellently with the DNA of He Wood. If you have HW, you don't need RMW and vice versa. But this fragrance definitely brings compliments. Durability varies between 4 - 6 hours. The Sillage is about 2 hours good. After that, the scent is only perceived as being preyingly close. Light forest on the lake shore ... for nature lovers, but not for lumberjacks! I had already feared to find myself here olfactorily in the wood-cutting department of a DIY store. Fortunately, that's not the case. On the contrary: although I don't want to deny a certain "sawmill proximity", the violet quickly becomes clearly noticeable and counteracts the somewhat creaky start with its flowery-sweet power. Also the white pepper is clearly perceptible for me and spices the woody basic structure with pleasant sharpness. RMW reminds me remotely of the good old Sander-Davidoff-Bogner period and its woody-spicy classics. Unfortunately, RMW can't really keep up with H & S and is a bit more one-dimensional. Nevertheless I like the fragrance, because it gets along completely without sweet airs and citric tangyness and the wood does not cover everything, as the name possibly suggests. In any case, it can be worn all year round and is also very suitable for the office. I don't see the check shirt and the axe in my hand as knitted sweater and pencil. If you think all this is great in principle, but like it a bit more exciting and seductive, I recommend you to take "Kenzo Jungle"
Like almost all He Wood cologne collections, Rocky Mountain Wood opens with a pleasant burst of violet leaves soaked in pure alcohol suspension, so pungent yet with a delicate touch. To complete this Mountain accord, floral notes of delicate lily and faint white pepper are well blended together, creating an aroma that really reminds open air and space. A woody fragrance with smoky vetiver accord as a dominant note, the heart is a kind of like Encrè Noir with that unmistakable pencil sharpener inky note, so dark, so rich of manliness, so damn good. The Wood accord of the heart is wet, the Canadian moist cedarwood pulses, the whole redolence stings like the smoke from bonfire leftover. And then it comes the Rocky accord of the base notes: frozen mineral amber, the right touch of musk, and the resinous incense. The three main accords listed in the name are really reminiscent of the scent of forest, wood with leaves, wet rock, and in their drying the notes appear giving a special mineral pinch, making something very realistic in the matter of aroma, is really an olfactory journey, a fragrance that, in my opinion, is on the verge of perfection. 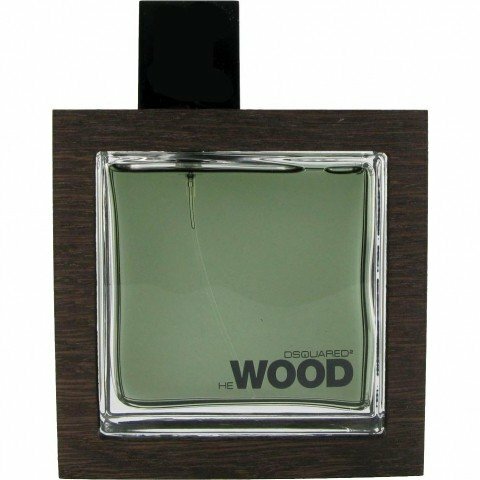 The bottle that encloses He Wood Rocky Mountain Wood is a duplicate of He Wood’s bottle, an elegant shape made from glass and natural wood, this time the wood’s color scheme is much darker, and the inner juice is dark green. I seem He Wood Rocky Mountain Wood brings the whole concept of the woody perfume to a more sophisticated level, ideal for a man with refined taste. It is a masculine fresh woody scent for daytime use, a complete outdoor perfume for nature lovers, but it can be worn anywhere, anytime, at home as well as at the office. This superbly blended perfume is a continuous delight, that has a unique aroma that captivates you and your colleagues and companions, it is a real compliment getter. Made for grown men, very long lasting with moderate sillage. I have classified this jewel as a fall and winter scent, although it might work well in early spring. Rather, for summer I prefer its siblings and the original of course! Wow i am impressed. I am not really a fan of the scent itself, but the longevity is amazing. One spray just passed the 14 hours mark on my skin. Decent projection was still there after 6 hours, then it turns slowly into a skin scent. Unlike La nuit de L'homme which baaaarely lasts 6 hours in total, and the last three are just a powdery mess, this one keeps its integrity all this time and you definitely know that you sprayed Rocky Mountain on yourself, and not a cheap baby powder. Overall i find the smell to be a bit cloying in the beginning, even for colder weather, and it could definitely considered unisex. The violet in it gives a very strong feminine vibe. This is a subtle yet wonderful vetiver scent. Imagine you're walking in a rainy forest - thats its smell. Some florals with a clean and gentle vetiver note and a bit of cedar makes this fragrance very good yet inoffensive. Smells elegant and it's an all-year-around fragrance. Definetely worth a bottle. A BIG thumbs up on this one from me. The floral top notes are OK, but uninspiring. My first reaction was "why all the hype on this one?" Then came the mid and base notes... Very nice cedar/flinty scent that lasts and lasts. Every time I wear RMW, I like it a bit more, and such a great value too at discounted prices online... Definitely five stars value-wise, 4 stars out of five outright.